View More In Winter Products. 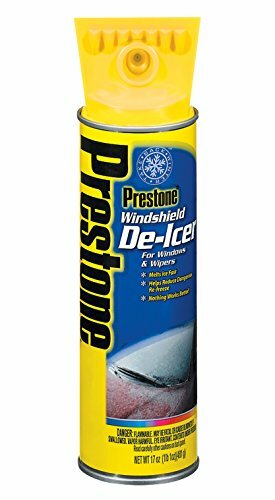 Prestone Windshield De-Icer is made from a concentrated high-performance ice-melting formula that melts ice fast and helps reduce dangerous re-freeze. Convenient ice scraper top helps clear icy windshields fast. Methanol is considered the most effective alcohol for melting ice. The high methanol content in Prestone Windshield De-Icer ensures strong ice-melting power, with a uniquely designed micro-edge ice scraper that can withstand tough use. The polycarbonate blade is stronger than conventional plastics found in many scrapers.